The Tru-Pull Lite is DonJoy's most comfortable, low profile and shortest patellofemoral brace, yet strong enough to help relieve knee pain! 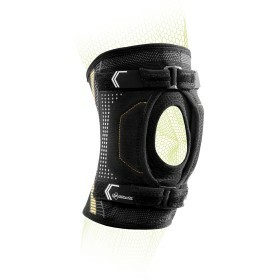 This patella support brace is designed with pull straps above and below the patella (kneecap). This puts a "true" and consistent pull on the kneecap during flexion and extension, which realigns the patella. By properly aligning the kneecap you reduce the pain that comes with patellofemoral problems like dislocating your kneecap. XS 13 - 15.5" 12 - 13" 10 - 12"
S 15 - 18.5" 13 - 14" 12 - 14"
M 18.5 - 21" 14 - 15" 14 - 16"
L 21 - 23.5" 15 - 17" 16 - 18"
XL 23.5 - 26.5" 17 - 19" 18 - 20"
XXL 26.5 - 29.5" 19 - 21" 20 - 22"
XXXL 29.5 - 32" 21 - 23" 22 - 24"
Cons: Velcro gives in too easily for such a price! Wish it could be replaceable. What a waste to throw out the whole brace because of two 2 inch velcro bits! Great support from this brace. I've worn one since 2015 (prescribed by my PT guy) and just ordered another for my right knee. Skiing Rockies 40+ times per season - this will make for more aggressive attack of the mountain with little to no recovery from a day on the slopes. Pros: Stays adjusted to tightness and position selected at the start of the day. No readjustment necessary. this is a good knee grace it is slim and you can wear it under your jeans, sweatpants,etc. My daughter has been wearing this for almost a year for a patellar subluxation. 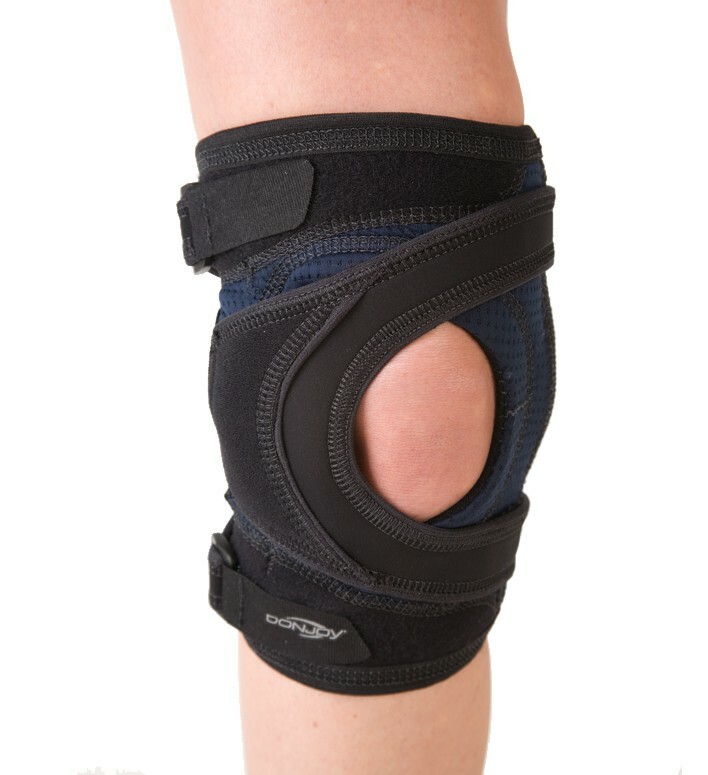 I came to this site to buy a replacement of the same exact brace because it works well, keeps her knee cap in place, and makes her feel safe. Cons: It gets smelly, of course and over time, the gel pack eventually wears down (expected). After a broken leg in a motorcycle accident, my husband's kneecap would never sit into the groove as it should (it was staying to the outside of the leg). When it would shift, his leg would buckle. 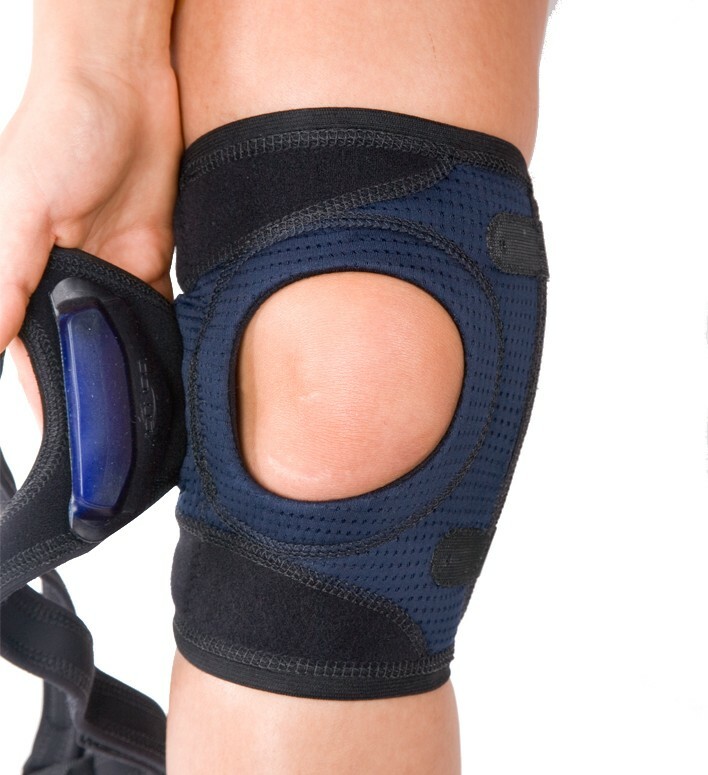 This brace helps keep the patella stable so that a fall is less likely. Seems well made and easy to put on and adjust. We've only had it a short time but it looks durable. We are pleased at this point. Cons: The wedge that goes against the patella needs to be cleaned to keep it's stickiness ----- not really a con ---- just a reminder. 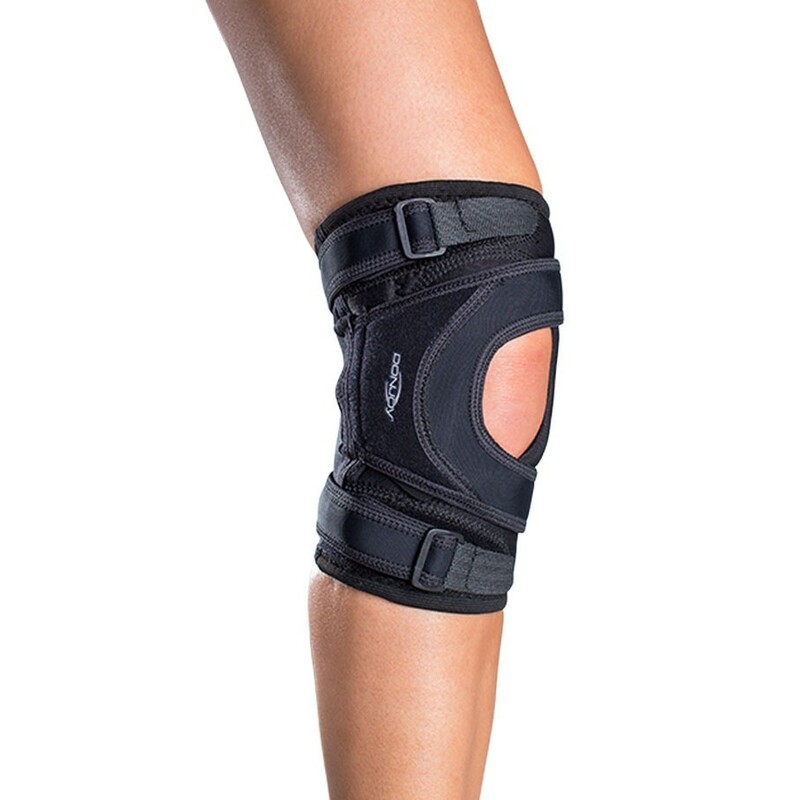 Works great for patella support, however wearing them long term while playing soccer gradually caused injuries which i eventually figured were caused by the extra pressure put on my inside leg muscles from the hinges. Removed everything. nothing left but straps and the patella gels. Pros: Patella femoral Syndrome. great support. Cons: just remove the hinges. you won't need them long term, they'll just cause other problems. I have tried several braces to help guard against patellar subluxation. Most of them are either too bulky or they don't provide enough protection. I run distance on trails, and this brace stays comfortable even on very long runs. One of the best things is that when I order it directly from betterbraces.com, I pay significantly less than the co-pay with great medical insurance. My daughter suffers from patella instability and frequent subluxations. This brace works wonders for her! I only wish the velcro lasted a little longer. The brace is very comfortable, allows for excellent range of motion, brace allows for patella tracking, has alleviated my knee pain, not completely but enough as to allow me to walk better. Fits tight and at times the tightness causes some swelling below the knee but not as bad as before. Pros: Light, material keeps skin dry, excellent for walking, can be worn all day. Keeps patella in place, has brought down my pain level. Stays in place with. No sliding.